“Creative destruction” is coming to the $2.8 trillion health care industry, changing everything from eligibility requirements to coverage options, but the changes also are fundamentally affecting a small, but power group unknown to consumers: insurance brokers. However, as this small, but lucrative profession of insurance brokers undergoes major changes, they also may indicate the future of another group of lesser-known professionals–mutual fund wholesalers–who have so far evaded change, even as the financial services industry continues to resist any types of reform after the 2008 recession. As a result, the significant changes facing insurance brokers may prove to be a cautionary tale for a largely unknown group of specialized salespeople in the mutual fund industry, who may also have to explain their compensation and how they serve investors. This specialized group is called mutual fund wholesalers. They primarily work at large, national full-service mutual fund companies which sell their mutual funds to advisors as part of a national sales network. Mutual fund wholesalers are unknown to most fund shareholders, but they are highly compensated and do not add anything to the investment management process nor do they directly contribute to boosting any shareholders’ investment returns. The issue is that the fundamental changes affecting the health care industry is having a direct impact on the role of, and annual incomes, of insurance brokers. 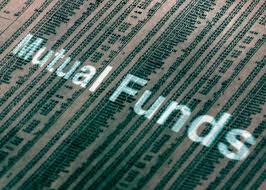 If the mutual fund industry adopts the fiduciary standard and is pushed to adopt more fee disclosures, it could also have a severe impact on mutual fund wholesalers. Any reform in terms of disclosing conflicts of interest and fees could significantly alter the financial services business model, which has many elements in common with the insurance industry. Reform in the fund industry also would have a direct impact on the lucrative compensation structure of mutual fund wholesalers and how they do business. Here are the unfolding scenarios which may indicate future changes for fund wholesalers, which would also affect how mutual funds are distributed to shareholders in the U.S. While largely unknown to consumers, insurance brokerage is a $135 billion industry employing about 935,000 people, according to IBIS World, a research firm. The industry fared well during the recession, but it faces significant changes due to the Patient Protection and Affordable Care Act (PPACA), a landmark health care bill passed by President Barak Obama in March 2010. Like the mutual fund industry, the insurance brokerage industry is not dominated by any large players. The top four insurance industry participants account for only an estimated 8% of total industry revenue, according to IBIS World. As such, the industry’s major players do not have significant market power, so they have largely been observers in the fundamental changes affecting the health care industry. What has prompted changes in insurance brokerage is a key provision in the PPACA mandating that health care insurance providers increase their medical loss ratios, so they spend more premium dollars on patients. With the first deadline coming on October 1, 2013, in the form of employer-mandated employee education on individual alternatives, changes are coming quickly. “We are already seeing indications that these policies are causing insurance companies to think twice about their premium increases and, in some cases, reducing the size of their annual updates,” according to Kathleen Sebelius, Secretary, U.S. Department of Health and Human Services. As a result of altering this key medical loss ratio, health insurance companies have been forced to alter expenses elsewhere. A key target for savings was in the commissions paid to insurance brokers, who acted as well-paid middlemen under the old business model. Commonly, insurance brokers could keep up to 11.5% in commissions from a 50-person group health plan or about $100,000 in commissions. But that was under the old model. The new PPACA has prompted insurance companies to improve their loss ratios, so that same sale would now produce a $1,000 commission. Previously, the travel industry has undergone a fundamental change due to new ways of selling common carrier tickets online. In that case, many agents left the business while better capitalized ones became bulk purchasers from cruise ships or began specializing in all-inclusive resort packages, which had higher margins. While the travel industry’s “creative destruction” was due to technology, insurance brokers face fundamental changes due to new, historic legislation. To cope with the impending changes, insurance brokers are taking two approaches: leaving the industry or finding new ways to generate revenues. According to a study, “Benefits Advisers—Keys To Surviving Under Health Care Reform,” conducted by Source Media, as a result of revenue changes from health care plans which “hang in the balance,” over one-third of advisors said they planned to add new business or product lines. This includes everything from supplemental employee benefits, short-term disability, critical care, to pet and term life insurance. The study also found that another 30% are planning to shift revenue from commissions, (the broker model), to fee-for-service, or consultant model. Lastly, about 20% plan to add retirement plans and financial education into their service offerings. Importantly, the study found that “benefit advisers understand that as reform evolves, so will their income sources and roles. Almost half (45%) see themselves as consultants to employers when it comes to public exchanges.” The good news for insurance brokers is that the health care industry is expected to triple in the next three years and that should provide opportunities for a few intrepid brokers. Few pundits in the financial services industry have noted the many similarities between health care and financial services industry reform. One reason is that health care is projected to account for 20% of GDP by 2021, according to the Centers for Medicare and Medicaid Services. And unlike the investment business, health care literally involves life or death decisions. While financial services reform efforts focusing on the fiduciary standard and disclosing fees embedded in 401(k)s and mutual funds are not life-or-death issues, they certainly affect the long term, quality of life for millions of Americans savings for retirement or to enjoy a more secure financial future. The reforms are also needed because shareholders need any extra return to meet retirement expenses. Any added expenses reduce a shareholder’s net investment returns, so finding a more expense-conscious fund company should be an attractive incentive to more knowledgeable shareholders. Yet most shareholders do not even know they are helping to pay the salaries of mutual fund wholesalers. Many shareholders would be surprised to discover that mutual fund wholesalers are among the most highly paid professions in the U.S.
A U.S. News & World Reports agrees. In its March 2013 issue, mutual fund wholesalers are listed in an article entitled, “The 10 Most Overpaid Jobs,” with an average salary of $109,000. The magazine also succinctly summarized the criticism of wholesaler salaries by asking: “Is one insurance policy or mutual fund really that much better than another?” That article also neglected to note that 100% of wholesalers’ sales activities are reimbursed by the fund companies. The wholesaler sales process also is fueled by the controversial practice of revenue sharing, in which commissions are paid by the fund company as an enticement for advisors to buy a specific fund family. Fund wholesalers also resemble insurance brokers in that they do not directly improve the product quality. Insurance brokers do not directly improve health care or medical services, but only add to administrative overhead. And like mutual fund wholesalers, brokers are expensive middlemen, who add expense to their respective industry’s end users (health care customers or fund shareholders) and are easy targets when employers are forced to drastically cut overhead due to regulatory reform efforts. The better news for mutual fund wholesalers is that so far the financial services industry has thwarted major financial reform. But those delaying tactics cannot continue forever. Pressures are mounting for adoption of the fiduciary standard and more scrutiny of 401(k) plan and fund expenses. Wholesalers, however, don’t have the luxury of insurance brokers to add new business lines or adding employee benefit services. Nor can they clearly demonstrate what value they add to shareholders. This means fund wholesalers will have to be especially creative if they want to retain their current income levels. Given today’s financial realities, wholesalers should see some parallels between changes in the insurance brokerage industry due to the new health care reform law and what happens when outside forces cause an industry to alter its old, anti-customer business model. That description resembles the traditional, load fund business model, which relies on a national wholesaler network. It’s also a model which is long overdue for reform. To learn more about Chuck Epstein, visit his website at www.mutualfundreform.com.